Humans can’t join AARP until they’re 50 and really aren’t considered senior citizens until their 60s, but for dogs most breeds are considered seniors once they reach eight years of age. As with all things related to dogs aging, this number is a bit lower for larger dogs and a bit higher for smaller dogs. If we take the proper steps to keep our senior dogs healthy, they can remain active and happy well into the equivalent of their 80s or 90s. This is a wonderful thing, because senior dogs also tend to be calmer and mellower, and less likely to suddenly develop misbehaviors or phobias because they’ve been around longer and have had a lot more experience than younger dogs. Junior isn’t quite a senior yet at six years old, but his predecessor Daddy lived to be sixteen and was active and lively up until the last year or two. Even then, when he was dying from cancer and suffering hip problems that made it difficult to walk, he still served as my right hand, helping me with dog rehabilitation. Dogs don’t focus on what’s wrong with them — they focus on getting around to the best of their abilities. Obesity isn’t just a problem for humans; it can affect our dogs as well. If your senior dog starts to gain weight, it may be time for a change in diet. Your vet can recommend food formulated for your dog’s specific needs and nutrition. Keeping your dog at a healthy weight will minimize the likelihood of the same conditions humans can suffer, like heart disease and diabetes. It can also help alleviate joint pain from aging and arthritis. As dogs age, their teeth can build up plaque, crack, or fall out; this is especially true for smaller dogs. If you aren’t already, you should have your dog’s teeth cleaned once a year by a licensed veterinarian. You should also clean your dog’s teeth regularly with a brush and toothpaste designed specifically for dogs. For younger dogs, an annual wellness exam is the norm, but for seniors this schedule should increase to once every six months. You should also consider having your vet run full blood tests at least once a year to reveal any potential problems that might not be visible yet. Notice whether there are any sudden changes in your dog’s behavior, particularly if they suddenly seem to have trouble getting up or down stairs, into or out of the car, or standing up after lying down. These signs may indicate joint discomfort or pain, which you can prevent like I do with natural supplements. 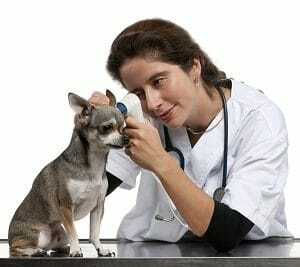 If your dog suddenly becomes lethargic, has a change in appetite or elimination habits, then it’s time to see the vet. 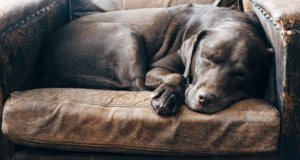 As your dog grows older, there may be certain things they cannot do as well anymore. You may have to shorten walk times because they have less energy. If you live in a place with two floors, you might have to move the bed and food downstairs. If your dog is going blind, you can create “scent trails” with things like lavender oil to help her find her way around, and use swimming pool noodles to pad sharp edges on furniture. 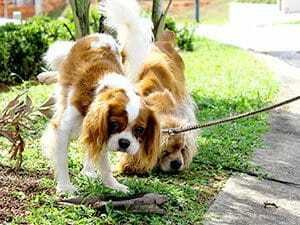 Dogs are incredibly adaptable but humans are incredibly clever — combine the two to make life easier for both of you. 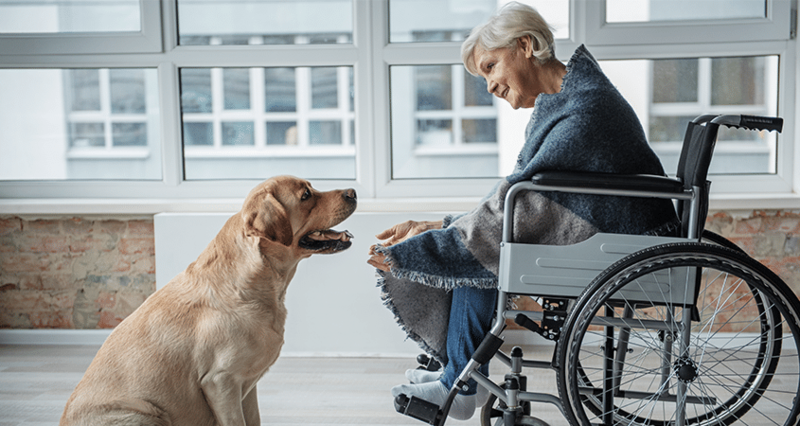 Veterinary care of senior and geriatric dogs has made big advances in just the last decade, so there’s no reason that your dog can’t live a long, happy, comfortable life. By taking the steps above and continuing to provide exercise, discipline, and affection, you can be the Pack Leader your dog needs to achieve that longevity while staying balanced.